****Does not post to Ireland. This luxurious handmade organic facial serum is a perfect treatment oil to give your skin an extra boost of vitamins and goodness whilst you sleep. This intensive night repair treatment serum will help to improve your complexion, deeply nourish your skin and improve skin tone. For optimum results, we would recommend you use in conjunction with the Concious Skincare cleansing and toning products. Presented in a 50ml EPA lined aluminium bottle with pump dispenser. For use, simply place a small amount of serum in your hand and gently dot onto a clean face and massage in until absorbed. Then place a clean tissue over face to absorb any excess. The full Conscious Skincare range is gentle enough for frequent use and is completely free from synthetic preservatives, sodium laureath sulphate, parabens and phthalates. It has also not been tested on animals. Available for Dry / Sensitive skin, Normal / Combination skin and Anti-Aging / Mature skin. 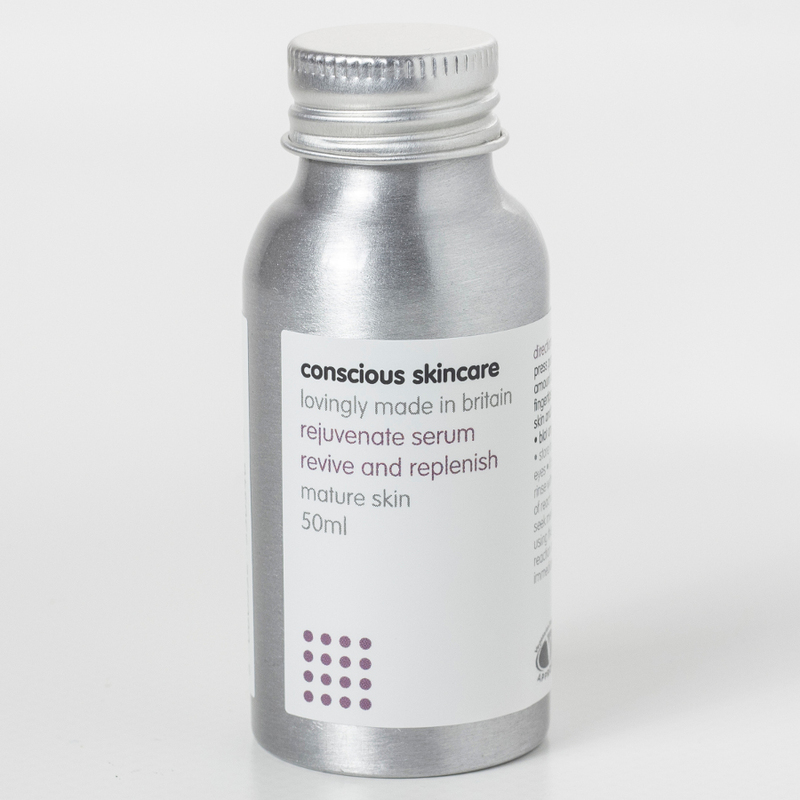 The Conscious Skincare Night Serum - 50ml product ethics are indicated below. To learn more about these product ethics and to see related products, follow the links below. 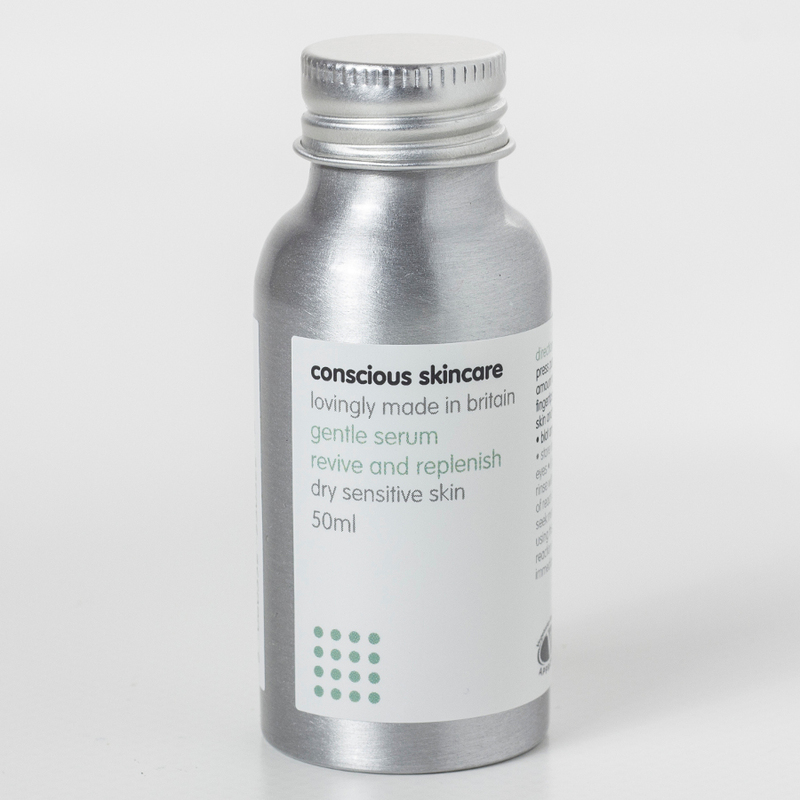 Based in Wales, UK, Conscious Skincare was founded by Rebecca Martin who has loved looking after her skin since creating her own weekly skin care regime when she was 13. Fed up of looking for the perfect natural skin care she decided to create it herself and so Conscious Skincare was born. Its skin care range is made of completely organic ingredients, hand blended to ensure quality without any synthetic materials such as parabens and SLS making it perfect for sensitive skin. As the skin care range is based on your skin type, you are guaranteed to find the perfect product for you. 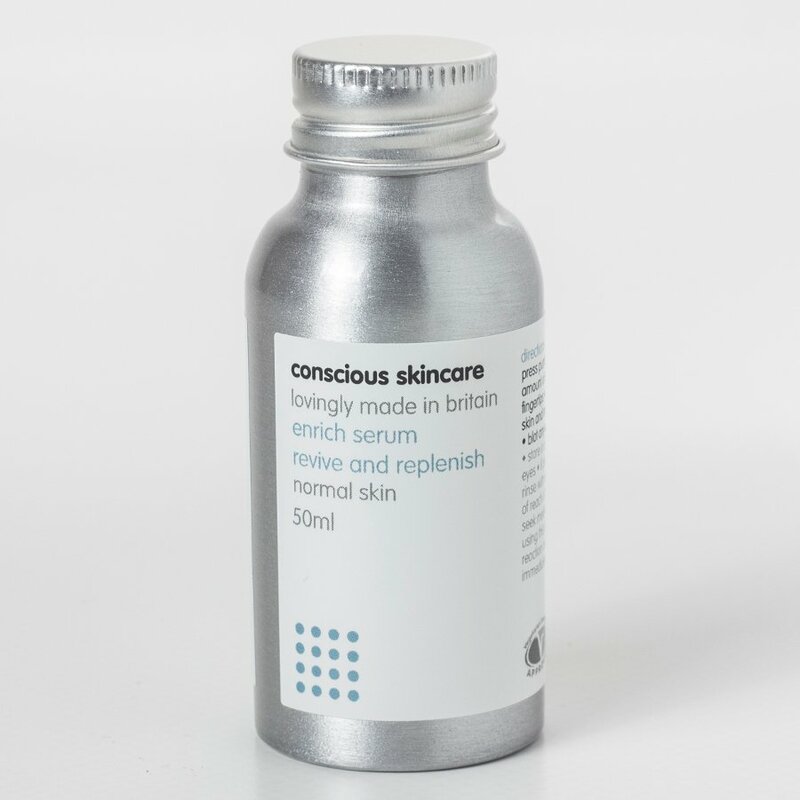 Conscious Skincare is also conscious about preserving the environment, which is why it uses recycled and recyclable materials for its skin care range wherever possible, such as glass and aluminium, as well as paper for its packaging. What’s more, it generates its own electricity and heats its water using solar power, a truly ethical skin care range.